· Craft a genuine Shofar from the raw horn of a ram. · See and hear a demonstration of the traditional blasts, while acquiring skills of blowing the Shofar. · OPTION: Craft one Shofar to be used at the school's discretion; for an additional fee, students may craft and take home their own Shofar. · Feel the distinct texture of Estrogim from around the world and smell their sweet fragrance. · Smell and touch the other three species: the Lulav (palm branch); the Hadas (myrtle); and Arava (willow). · Enjoy a video vividly illustrating the beauty of the "Four Species." · Learn to arrange and hold a "Four Species" set in the proper manner, as well as the Torah source for each Mitzvah. 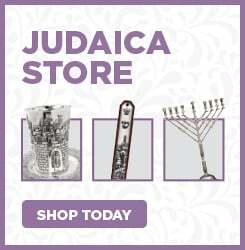 · Create a lulav-holder from strips of palm branches. The group receives one finished set! · Pit fresh olives, squeeze them with a hand press. · Strain and then spin the extract in a centrifuge to separate the pure oil. · Enjoy a video of an olive oil factory in Italy, which introduces them to the modern process.  · Fashion a wick out of cotton for use with the oil when lighting the Menorah. · Take home a sample of the oil. · View a full-color slide show painted by artist Norman Nodel, and produced by Tzivos Hashem. · Enter the story of Purim as actors and actresses. · Learn about, and practice the Mitzvot of Purim. Gain an appreciation of the special skills required for this intricate task. View a video and samples illustrating the process of making a Torah scroll, starting with the raw hide, through tanning and sanding, until the parchment is finished. Mix the basic ingredients used to make ink for a sofer (scribe). Write their Hebrew name with a goose quill, in the script used by a sofer, on a piece of parchment which they take home. Take home a souvenir scribe's kit. This program may be adapted for a Torah-writing ceremony (starting or completing).